It was a good week for South Ramsey where, although losing 3-6 to Mooragh Park on Wednesday they recorded a reasonable score and kept their opponent’s chalks down. On Friday they had a 6-3 win against Port St Mary with a margin of 20 points. On Wednesday Port St Mary won 8 games dropping just 7 points, the lone winner for Douglas being Brenda Williams. After a convincing win over Onchan mid-week, Peel Sunset played out a draw with Noble’s Mixed on Friday despite winning 6-3 on games, the Mixed wins were all to single figures. Although winning 5-4 on games at Port Erin, with their looses all to single figures Marown ended with a deficit of 20 points. Their week did not get much better as they were only able to field 8 players against Onchan, who were in the same position, giving a low scoring game with the home side in the ascendancy. .Friday night saw the clash between Castletown and Mooragh Park. In a hard fought match where every player reached double figures the home side had the advantage 6-3 on games while the visitors had a four point advantage on chalks. There was an entry of 25 for the Onchan ladies’ singles played at Noble’s 2 on Sunday 25 May. 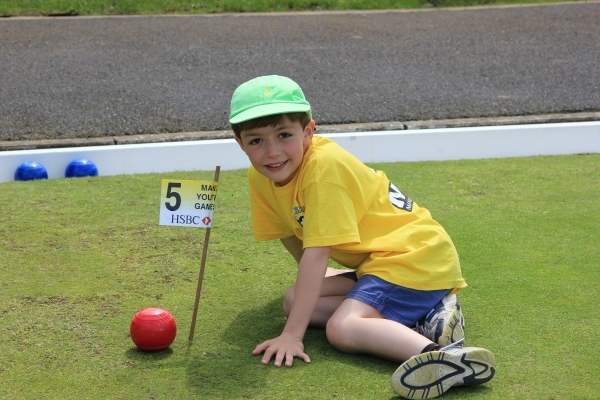 After a chilly start the weather brightened up to give a warm sunny afternoon conducive to good bowls played in a friendly atmosphere. In a very close and exciting final Philippa raced to an early lead at 14-8. Janet then got the jack and won seven ends in a rowto have the advantage 19-14. It was Philippa’s turn to make a come-back, levelling at 19-19, before Janet scored two singles to run out the winner 21-19. The presentation was made by Lynda Clarke who thanked all those who had stayed to watch the final. She also thanked Noble’s Mixed for the use of their green and facilities, the ladies for their work in the kitchen, those who ran the sheet or helped in any way with the successful running of the event. Please be aware that the following point deductions have been made to the league table during May. The future is bright for Crown Green Bowls as the sports young lions bared their teeth in a ferocious battle between Castletown A and Onchan A.
Isle of Man Bank Men’s Division One leaders Onchan A will feel lucky to have escaped from the lion’s den with a 7-3 victory, but have not left without the scars from a Town team that was full of fight to the end and who will feel aggrieved not to have picked up at least another point. 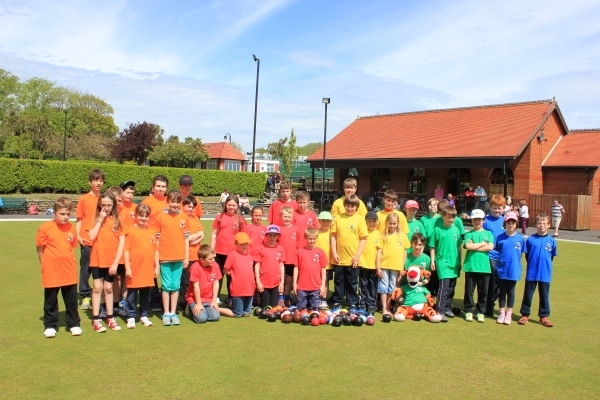 Fresh from an Island Championship where the main stays of local bowls showed that they were still the force to be reckoned with, it was the turn of the games fresher faces to fire a warning shot with the young guns from both teams showing their class. Town’s youth policy is now paying dividends with Captain Bob Clark picking up a strong 21-9 win whilst Nathan Cooil and Michael Collister produced superb displays to beat respective former Island Champions Kevin Quirk and Phil Kerruish. Matthew Quirk and Jordan Cain showed that the title favourites also have some tremendous up and coming talent in their ranks with their own strong single figure wins against quality opposition, although the title favourites had to rely on two more experienced hands, Peter Slinger and Glynn Hargraves, to come back from the death in their games to seal the win for their side. Champions Marown A used this to their advantaged and capitalised by securing a well-deserved 8-2 victory over Onchan A, to claw one point closer to their rivals. Despite the score line there were some close encounters and both teams will feel they should have another point on the board. Villa talisman Dave ‘Barney’ Kelly showed his class to scrap to 21-19 win over 2013 June festival winner Neil Withers in a high quality affair. Withers showed some good resistance as he prevented Kelly from getting into his trademark corners however he used all of his green craft to secure victory. Marown stalwart Colin Kelly didn’t have things his own way either against Stuart Garrett and both men were inspired in a game of the highest quality which Kelly just edged by the narrowest of margins, 21-20. As tipped, South Ramsey A have now leapfrogged both Douglas A and their last opponents Castltown B into third place, as they defeated the latter 8-2 at home. South as expected were too strong for their rivals but it is town who can draw heart as George Peach and Peter Oates picked up wins whilst John Holden and Dave Faragher put in spirited displays, both narrowly losing out 21-18. South will see it as two points lost in the battle for silverware. North Ramsey A and Port St Mary A are now tied on points in the middle of the table after the former picked up a surprise 7-3 win over the strong southern outfit. Some of North’s new boys were the stars of the show with Steve Walmsley, Alan Callow and Steve Parker all impressing. Peel A and Ballaugh A will be delighted to build some momentum as they both picked up superb 9-1 home wins to get their season off and running in earnest and move away from the foot of the table. Finch Hill A remain at the top of Division Two but only after a stern examination by Port St Mary B with honours even 5-5. The league leaders won 5-3 on games but the wily Spaniards took the aggregate points, thanks in a large part to Island Junior Champion Sam Parmer’s tremendous 21-2 win. Onchan B are still chasing top spot and managed to close the deficit by two points as they slugged out a 7-3 victory at home over aNorth Ramsey B side who are acquitting themselves well since earning promotion last term. Nobles Mixed are some peoples favourites to end the season as champions and a blistering 9-1 win away from home will not have harmed their chances at all. Marown B topped Division 3 last week and even with a strong 6-4 win away at Peel D they find themselves slipping down the table to third. Title favourites South Ramsey B were simply ruthless as they mercilessly white washed Nobles Park B 10-0 away from home to take pole position. Port Erin B now find themselves in second spot, tied on points with Marown B, after some good work at home as they strolled to an 8-2 win over North Ramsey C.
There was a couple of extremely tight games in the match between Marown A and Douglas A and both Colin Kelly & Dave Barney Kelly have been rewarded with places after edging out Stuart Garrett & Neil Withers in respective high quality affairs. All of the Castletown Teams are represented this week and B team player George Peach picked up a brilliant win over Dave Hughes at South Ramsey to book his berth. Town C’s Phil Smith has also been impressing recently and a 21-19 win at Ballaugh over John Keenan sees him gain another start in the team. The A team are represented by Nathan Cooil after he claimed a great scalp defeating Onchan’s Kevin Quirk 21-13, similarly Jordan Cain (Onchan) makes it for winning 21-6 over Andy Clark in the same match. The final place this week could have gone to one of 3 North Ramsey A players but Alan Callow secures the place after a hard fought 21-18 win over Robbie Cooil. Ballaugh C’s Jason Fenton is first on the list for a great 21-12 win over inform Phil Cain (Onchan C), whilst Brian Woodall (Onchan C) makes it for a 21-6 win over Dave McTaggart in the same game. South Ramsey B won 10-0 at Nobles B and Alan Moore & George Brew make it for opposing reasons – Moore for his 21-3 win and Brew for holding his nerve and edging past Bill Jones 21-20. Peel D’s Paul Baker picked up a great scalp beating Arnie Withers (Marown B) 21-19 whilst Marown’s Ian Kissack is in for his 21-7 win. Derek Allen (Port Erin B) was on fire in his game winning 21-2 and he is joined by Peel C’s Lenny Kerruish who’s 21-5 win away at South Ramsey C helped his team to the aggregate points a secure a 5-5 draw. 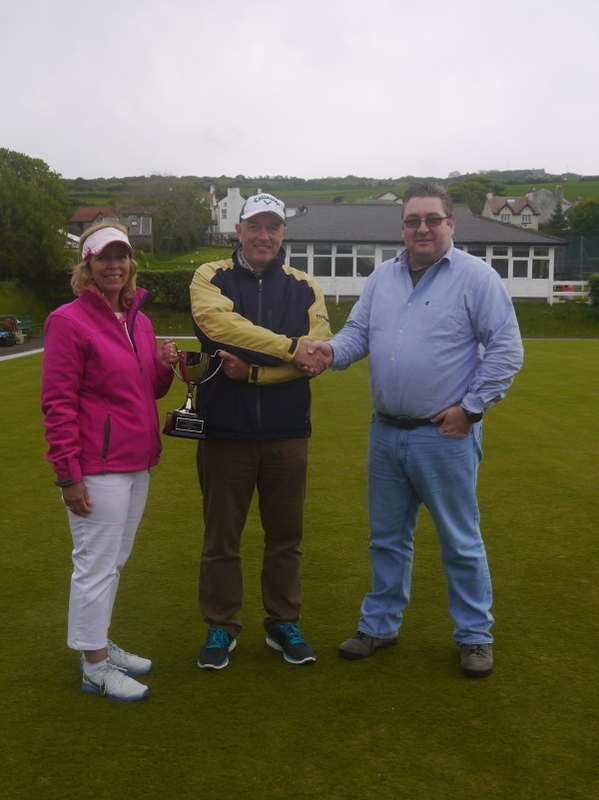 There were 29 pairs who took part in The Capital International Cup mixed doubles at Port Erin Bowling Club. The weather stayed dry for the afternoon. There were some very close games which could have been worthy of a final. Slinger after some very close ends. Capital International. Thanks went to the sponsor, all the competitors, measurer’s, markers and Janet Shilling for her excellent running of the competition during the afternoon. South Ramsey found it hard going at Castletown where Kim Foy and Kath Kinley were on top form, while Onchan were unfortunately a player short against Purt le Moirrey. Mooragh Park were top scorers against Marown, where Mary Alderson and Lil Smith were the two winners for the home side. Although Peel Sunset won five games against Port St Mary they lost out on points while Port Erin were able to put the disappointment of the previous night behind them coming through 5-4 on games against Douglas. In a low scoring game Noble’s Mixed won 5-4 on games to beat Ballaugh by 10 points. Port St Mary A recorded their second maximum of the season to consolidate their position at the top of the table. Mooragh Park had a battle on their hands as visitors Villa drew with them on games, Peggy Chapman edging out Jean Radcliffe 21-20 while Joan Murphy came through against Rita Callan by the same score. Second placed Peel Sunset had a 4-2 advantage against Onchan A in a high scoring match while Onchan B had a close encounter with Noble’s Mixed, ending level on games and losing out by just four points. Sylvia Maddrell was the lone winner for Port Erin against Douglas although Gwen Tuck almost added a second game reaching 20 against Jo Oldam, while Mary Alderson and Shirley Whelan were the two winners for Marown against Castletown.